One of the most asked questions I receive is, what are the best foods to consume when trying to get pregnant? Are some foods better than others? 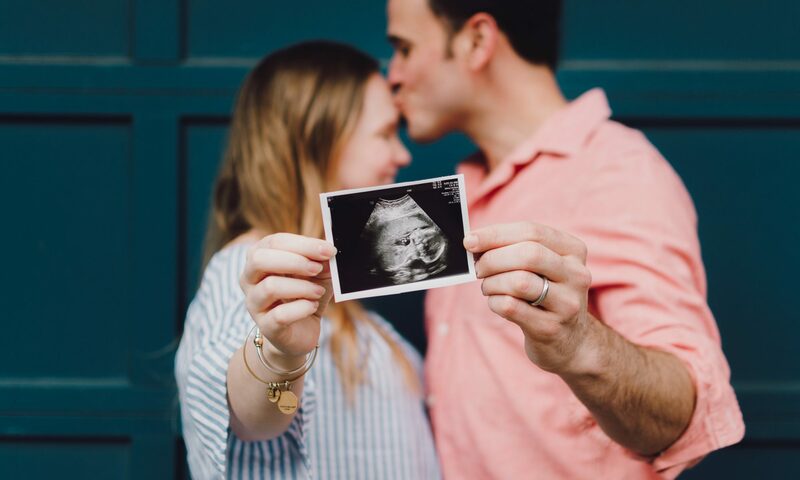 With one in six couples struggling to conceive, it’s no wonder that it’s such a big issue and hot topic. Read on to find out what my Fertility Food picks are! Free Fertility Masterclass: Superfoods for Super Fertility! Today’s blog post includes that Top Superfoods for Fertility. Of course, a balanced, anti-inflammatory diet is best for both women and men who are wanting to get pregnant. These foods are great to incorporate into a diet that is focused on fertility. Click here to grab my FREE Five Day Fertility Diet. The meal plan incorporates all of these foods and gives you tons of recipes that will help your body heal and optimize your fertility. Diet is an absolutely incredible way to support your fertility and it’s a simple way that you can take back control over your fertility journey. Turmeric contains the polyphenol curcumin which is the most active compound in turmeric and is often celebrated for it’s anti-inflammatory properties. Turmeric enhances the body’s ability to suppress inflammation by depleting the neurotransmitter responsible for pain, technically named neuropeptide substance P (polyphenols are known to do this as well as increase resistance to disease), and is pain relieving. Turmeric also has powerful antioxidants, including curcumin, that have the ability to help the body fight free radicals, which hinders tissue degeneration and inhibits pro-inflammatory molecules. This potent antioxidant protects the liver, may even regenerate liver cells and in part stimulates the enzymes within the body that are responsible for flushing toxins from the body. This is important because as the master detoxifier, liver health is critical for hormonal balance. 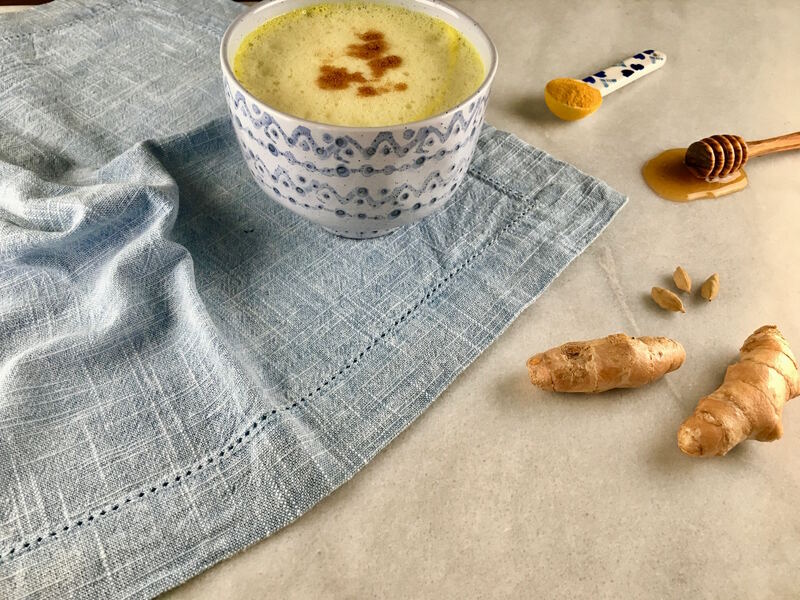 Grab my Supercharged Turmeric Latte Recipe for a delicious way to have this superfood! Known as a fertility booster, energizer, and blood strengthener in Traditional Chinese Medicine. Eggs deliver vital nutrients for both you and baby. They are an incredible source of healthy fats and protein. Eggs can be considered nature’s multivitamin as they pack a nutrient-dense punch with every bite! The egg yolk supplies almost all of the whole egg’s iron, calcium, zinc, vitamin B-6, folate and vitamin B-12. It also contains 100 percent of the egg’s vitamin A, which includes two antioxidant carotenoids – lutein and zeaxanthin. Egg yolks from pasture-raised chickens are extremely rich in fertility boosting omega-3 fatty acids EPA and DHA; and bone building nutrients, vitamins A, D, E, and K2. These bone builders (vitamins A, D, E, K) are fat-soluble, so the fat from the egg yolk helps the body absorb these essential nutrients. Vitamin K2 is very important in forming healthy bones, quick blood clotting, and regulating menstrual cycles. But they are especially rich in a nutrient many people have never heard of: choline – which is essential for proper development in fetuses. Egg yolks are very easy to digest and have been compared to breast milk for their high nutritional value. They also have a great deal of zinc and magnesium which is important for a healthy immune system. It should be noted that it’s important to consume quality eggs from organic, pasture-raised chickens. Egg yolks from pasture-raised chickens contain up to TWENTY TIMES more healthy omega-3 fatty acids, than those from factory raised chickens. You can tell that pasture-raised, organic eggs are higher in nutrients because the colour of the yolk is such a vibrant, bright yellow. Bone broth or stock, is made from bones (beef or chicken, commonly), which have been boiled down with carrots, onions, and other veggies for at least 12 hours but usually 24-48 hours. When broth is cooked down, the minerals and gelatin from the bones are extracted from the bones into the stock. Bone broth is incredibly high in minerals and gelatin (protein). In Traditional Chinese Medicine bones are associated with the kidney system and the bone marrow is associated with the kidney jing – the deepest level of our body. Jing represents our foundation, life force, genetics, libido, fertility, memory and brain function. Bone broth is one of the most healing foods in the world. It contains valuable minerals in a form your body can easily absorb and use, including calcium, magnesium, phosphorus, silicon, sulfur chondroitin, glucosamine, and a variety of trace minerals that are vital for creating a healthy new life. 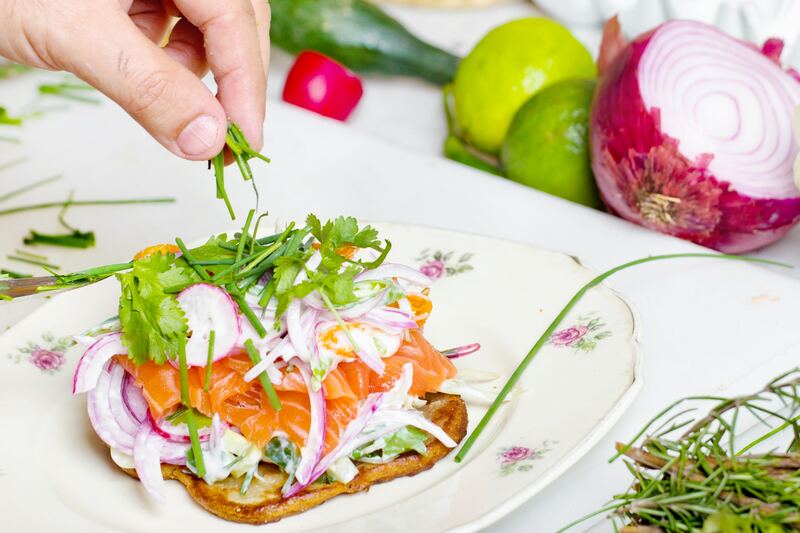 Gut Health: Your gut health is directly linked to your hormonal health – if you have a leaky gut, your body is unable to properly absorb the nutrients and minerals it needs to produce hormones. I work with a lot of women trying to improve their fertility, the commonality between these women is digestive distress. The majority of women I work with struggle with constipation, diarrhea, bloating, gas, IBS, food allergies, and more. Bone broth helps to heal and seal your gut, preventing leaky gut while also helping to promote healthy digestion. The gelatin found in bone broth helps to seal the gut. We have junctions in our gut that can become loose, which lets food particles and toxins into the blood stream. Bone broth brings those junctions back together and tightens them up, sealing the gut. When we heal and seal the gut, we in turn reduce inflammation and create a healthier, happier body. Amino Acids: Bone broth is a rich source of the amino acids proline, glycine, glutamine and arginine. These amino acids are essential for hormone production and for proper liver detoxification which allows your body to get rid of the hormones already used up so they don’t continue circulating in the bloodstream, wreaking havoc on hormone balance. To optimize fertility we have to have a strong supply of amino acids in the body. To learn more about gut health and the connection to fertility, head over to this blog post. Of course, we all know that fish, particularly cold water fish is loaded with healthy fats, specifically Omega-3 Essential Fatty Acids (EFAs). Loading up on these EFAs allows for increased blood flow to reproductive organs and may help to regulate your reproductive hormones as well. Omega-3 fatty acids can increase cervical mucus, promote ovulation and overall improve the quality of the uterus by increasing blood flow to the reproductive organs. Omega-3’s are also anti-inflammatory, therefore helping to reduce inflammation in the body which can be a mega fertility downer. It’s especially important to reduce inflammation in the pelvic area for healthy fertility. Another important fertility nutrient is zinc. Found in high amounts in oysters, clams, and mussels, zinc is capable of improving sperm quality in men – it has been shown to improve sperm count and motility, therefore improving conception rate. Men who increased their seafood intake improved sperm production significantly. 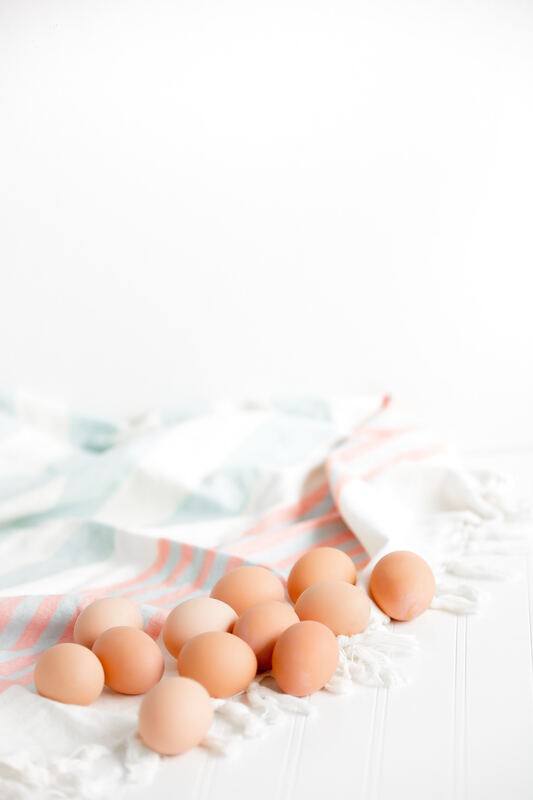 In women, zinc deficiency can disrupt your menstrual cycle, and negatively impact egg quality – both of which are fertility “Debbie-downers”. Zinc is also a very potent antioxidant, it plays a large role in egg quality. A sulfur-rich vegetable, broccoli is wonderful at helping the liver detoxify excess hormones, waste-products, and toxins. Broccoli also contains a special anti-inflammatory compound called Isothiocyanates or ITCs for short. ITCs actually help to slow down and in some cases even turn off the inflammatory reactions in the body. The primary anti-inflammatory and liver loving compound found in broccoli is sulforaphane. In addition to the amazing Isothyiocyanates, that are anti-inflammatory, broccoli is also a source of Omega-3 Fatty Acids! While we don’t want to depend on broccoli for our Omega-3 intake, it does contain 400 milligrams of Omega-3 (specifically Alpha-Linolenic-Acid – ALA) per 2 cups. Broccoli is also immune boosting thanks to the phytonutrient (a flavonol) called kaempferol. Especially inside of our digestive tract, kaempferol has the ability to lessen the impact of allergy-related substances (by lowering the immune system’s production of IgE-antibodies). By lessening the impact of allergy-related substances, the kaempferol in broccoli can help lower our risk of chronic inflammation. Lowering inflammation levels is KEY for boosting fertility! The B-complex vitamins in broccoli can also make a major contribution to our fertility health. Especially with respect to excessive formation of homocysteine B-complex vitamin deficiency intake can pose a major risk. Three B vitamins especially important for lowering our risk of hyperhomocysteinemia (excessive formation of homocysteine) are vitamin B6, vitamin B12, and folate. Getting homocysteine levels under control is essential for pre-conception and throughout pregnancy. Bee products can also be called Nature’s Medicine. Let’s take a look at how each of these Bee Powered Superfoods work. It’s the Queen Bee’s equivalent of hormonal stimulation. Royal jelly is a rich, creamy, white and opalescent liquid that is produced by worker bees. It is used exclusively for the nourishment of the queen bee, who is recognized for her longevity and fertility. As compared to worker bees who only live up to 2 months. The Queen Bee is known for her energy, and stamina and for reproductive capability. When honey and pollen are combined and refined within the worker bee, royal jelly is naturally created. Royal jelly has been shown to help balance hormones, improve egg quality and health, enhance sexual desire and performance, greatly improve energy levels and help eliminate fatigue. This superfood can also help build and strengthen the immune system and help the body fight infections and diseases. Royal Jelly is rich in vitamins, A, B, C, D, and it also contains minerals including calcium and iron, all of the essential amino acids plus antibacterial and immune stimulating properties. Propolis is made by honey bees. They produce it by combining their own saliva and beeswax with other substances such as tree buds, sap flows, and botanical sources. Honey bees use propolis in their hives to seal up cracks and protect their hives from predators. From a science perspective, propolis has many benefits for fertility and general human consumption. Propolis contains minerals, vitamins, and even amino acids. It offers us immune support and stimulant. A pilot randomized controlled trial looked at the effects of propolis supplementation on women with infertility and mild endometriosis. The researchers found that taking bee propolis at a dose of 500 milligrams twice a day for six months resulted in a pregnancy rate of 60 percent compared to only 20 percent in the placebo group. Bees collect pollen from plants, mix it with a small dose of the secretion from salivary glands or nectar, and place it in specific baskets (called corbiculae) that are situated on the tibia of their hind legs — called pollen loads. You can often see this when you look at a bee and there legs have yellow clumps on them, like bright yellow bloomers! Bee pollen is full of anti-inflammatory properties, which make it a fertility superfood. Research has shown that bee-pollen works just as well, if not better than conventional anti-inflammatory medications like naproxen, analgin, phenylbutazone and indomethacin. Bee pollen is also high in antioxidants and has antimicrobial and antiviral properties. Immune System health is very important for fertility. Bee pollen may also be a natural allergy fighter, inhibiting the activation of mast cells. 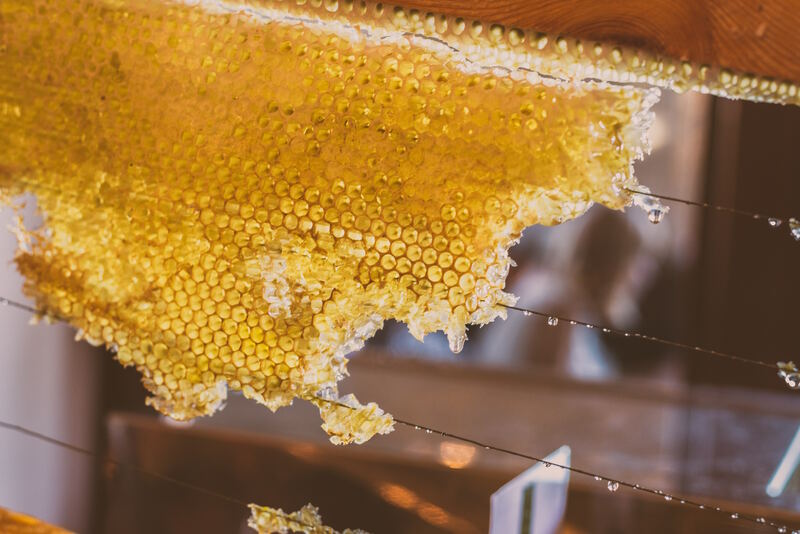 My favourite way to consume all of the bee superfoods is through Bee Keeper’s Naturals Bee Powered, which contains bee pollen, propolis, royal jelly, and raw honey. A wonderful tropic fruit that makes you daydream of Summer. The pineapple is actually known as a symbol of preconception and couples who are trying to conceive. In addition to this, pineapple is chock-full of amazing nutrients and properties which make it a fertility superfood. Pineapple is rich in antioxidants like Vitamin C. Vitamin C in addition to being an amazing antioxidant and fighting free radical damage, is also immune boosting. Vitamin C has the ability to synthesize collagen, which is the main protein in the body responsible for maintaining healthy blood vessels and organs, which means that it will help ensure optimized blood flow to the uterus. Pineapple is rich in bromelain, an enzyme which is important for helping the body break food down. As we’ve mentioned before, a healthy gut and healthy digestion is imperative for healthy fertility. Bromelain is also a natural pain reliever, blood thinner and anti-coagulant, and anti-inflammatory agent. The antioxidants in pineapple, such as vitamin C, beta-carotene and the other vitamins and minerals that are present, including copper, affect both male and female fertility. Antioxidants have been shown to help increase blood flow and restore proper tissue formation in the genital organs, plus they can assist in boosting sperm count. 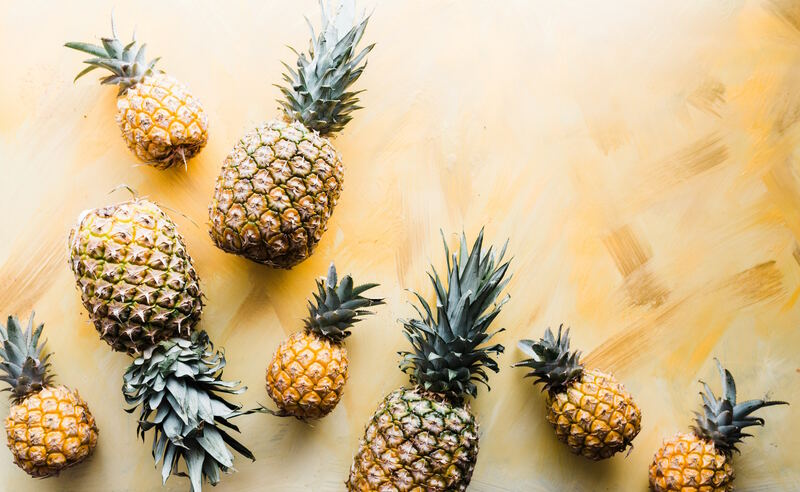 Pineapple has been shown to help with implantation, so it’s best to eat 1-2 pieces of pineapple every day from ovulation until your next period or until a positive pregnancy test. When eating pineapple, ensure you keep some of the core in your pieces as the core contains the highest concentration of bromelain. For inspiration on how you can incorporate these foods into your diet, grab my FREE Five Day Fertility Diet, below. Fertility Masterclass: Superfoods for Super Fertility! Great list of these super food! Thanks for the information. I loved reading your post throughout.Great blog deserved to be shared among the people. hey, This list of superfoods are very helpful for those looking for fertility. I got information and would like to share this among people I know. Thanks for this valuable information regarding fertility.